The Dark Energy Spectroscopic Instrument seeks to further our cosmic understanding by creating the largest 3-D map of galaxies to date. Below is a press release issued by Lawrence Berkeley National Laboratory announcing first light for the optical lenses of this extraordinary instrument. The U.S. Department of Energy’s Fermi National Accelerator Laboratory is a key player in the construction of this instrument, drawing on more than 25 years of experience with the Sloan Digital Sky Survey and the Dark Energy Survey. Fermilab contributed key elements to DESI, including the corrector barrel, hexapod and cage. The corrector barrel – designed, built and initially tested at Fermilab – aligns DESI’s six large lenses to within the accuracy of the width of a human hair. This precision is essential to ensure that the images DESI collects are sharp and clear. The hexapod, designed and built with partners in Italy, moves and focuses the lenses. Both the barrel and hexapod are housed in the cage, which was also designed and built by Fermilab. Additionally, Fermilab carried out the testing and packaging of the charge-coupled devices, or CCDs. The CCDs convert the light passing through these lenses from distant galaxies into digital information that can then be analyzed by the collaboration. Fermilab also provided other components to the project, including the online databases used for data acquisition and the software that will ensure that each of the 5,000 robotic positioners are precisely pointing to their celestial targets. DESI’s array of 5,000 independently swiveling robotic positioners, each carrying a thin fiber-optic cable, will automatically move into preset positions with accuracy to within several microns (millionths of a meter). Each positioner is programmed to point its fiber-optic cable at an object to gather its light. 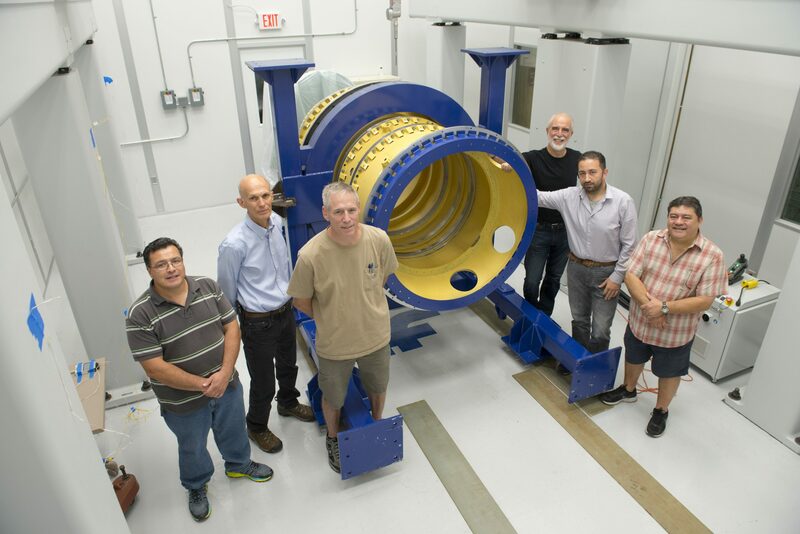 Fermi National Accelerator Laboratory (Fermilab) researchers led the design, construction and initial testing of the corrector barrel, hexapod and supporting structures that hold the lenses in alignment. The new set of lenses expands the telescope’s viewing window by about 16 times, enabling DESI to map about one-third of the visible sky several times during its five-year mission. David Sprayberry, the National Optical Astronomy Observatory (NOAO) site director at Kitt Peak, said, “We have an amazing, multitalented team to make sure that everything is working properly,” including engineers, astronomers and telescope operators working in shifts. NOAO operates the Mayall Telescope and its Kitt Peak National Observatory site. Rockosi said there was intensive pre-planning for the corrector’s early testing, and many of the tasks during this testing stage are focused on gathering data from evening observations. While DESI scientists have created automated controls to help position, focus and align all of the equipment, this testing run allows the team to fine-tune these automated tools. This temporary instrument was built at the same weight and installed at the same spot where DESI’s focal plane will be installed once it is fully assembled. The focal plane will carry DESI’s robotic positioners. The commissioning instrument simulates how the telescope will perform when carrying the full complement of DESI components and is verifying the quality of DESI’s lenses. Founded in 1931 on the belief that the biggest scientific challenges are best addressed by teams,Lawrence Berkeley National Laboratoryand its scientists have been recognized with 13 Nobel Prizes. Today, Berkeley Lab researchers develop sustainable energy and environmental solutions, create useful new materials, advance the frontiers of computing, and probe the mysteries of life, matter, and the universe. Scientists from around the world rely on the Lab’s facilities for their own discovery science. Berkeley Lab is a multiprogram national laboratory, managed by the University of California for the U.S. Department of Energy’s Office of Science. 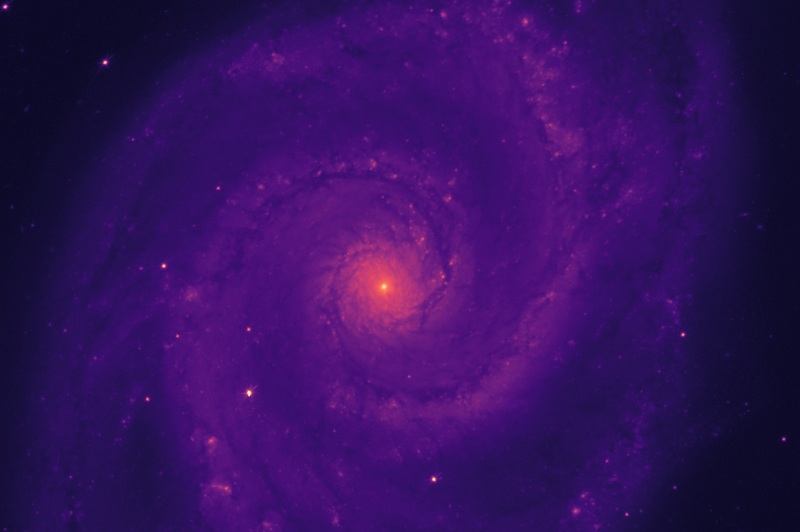 The National Optical Astronomy Observatory (NOAO)is the national center for ground-based nighttime astronomy in the United States and is operated by the Association of Universities for Research in Astronomy (AURA) under a cooperative agreement with the National Science Foundation Division of Astronomical Sciences.